There’s been a lot of talk in recent years about building a capsule wardrobe. This is partially because having a capsule wardrobe is a great way to ensure you always have something to wear. But not just anything to wear, it’s about creating a wardrobe that you love, with all of the right accessories. Whether you are partial to wearing boots, scarves, cardigans or pearl brooches, a capsule wardrobe is a great way to wear what you love all of the time. Building a capsule wardrobe isn’t about following the trends – even though the idea of having a capsule wardrobe is quite trendy. It’s about having staples in your closet and jewelry box that are go-to pieces. This means every single day of the week, and weekends, can be a day that you feel good about what you’re wearing. Who doesn’t want that? The best part is that it doesn’t matter what everyone else is wearing. If you want to wear a brooch to an informal event, that’s perfectly fine. One of the biggest benefits of a capsule wardrobe is the fact that you spend less time in your closet trying to figure out what to wear. By establishing a wardrobe for each season, you only have immediate access to the clothing for the current season. While you will probably have pieces of clothing that work for every day of the year, you can compliment those items with clothing that’s exclusive to spring summer, winter or fall. You can also have foundational pieces that are wearable throughout the year, such as t-shirts. As it turns out, there are mental and emotional reasons to start a capsule wardrobe. There have been people in the tech industry who consider Steve Jobs to be a mentor and follow his simplified wardrobe. Jobs simplified his wardrobe in order to eliminate the mental energy of trying to figure out what to wear every day. While your wardrobe doesn’t have to be pared down to that degree, it can certainly eliminate a lot of angst when it comes to figuring out what to wear. The flip side of the Steve Jobs approach is having so many articles of clothing that a large percentage of your closet contains pieces that have never been worn. Even when this is the case, many people stand in front of their closet on a daily basis unable to find something to wear. The reason why this happens is because most people buy clothes that they don’t love. In fact, it’s common for consumers to buy clothing that they don’t even like, just because it was on sale. This bad habit can destroy your budget. To eliminate the problem of having a closet full of clothes that you don’t want to wear, you simply have to make a decision about what to keep in your capsule wardrobe. This should include the jewelry that you wear everyday and on special occasions. Just remember that less is more. When you go shopping, you’ll need to determine the pieces that will be purchased in advance, which should only include clothing that fills in the gaps to complete your capsule wardrobe. Bread has been known as the “staff of life” for centuries, and most world cultures have at least some form of bread made from whatever grains are available. It is one of the oldest man-made foods, dating back to at least the beginning of organized agriculture for grain-based, and before that for starch-based made from pounding plant roots and cooking the results on rocks over open fires. Later on, naturally occurring yeasts and bacteria were seen to help aerate and raise the bread and became a staple of bread making as a form of leavening. With a trend toward more natural foods with less artificial ingredients, more people are looking for ways to incorporate this more wholesome approach to their diets into their lifestyles. Any artisan bread is part of that trend, with its simpler, less mass-market uniqueness. Some natural foods supermarkets and bakeries are cashing in on this trend by offering large selections of delectable specialty breads to choose from. The basic process and ingredients for making this bread remain much the same as they were in antiquity. These breads generally have around five ingredients, where mass-produced bread has up to twenty or more, quite a few of those chemicals. If the breads have more than five, it’s usually because extra goodies like olives, peppers, seeds, etc. for savory breads, or dried fruits and nuts for sweeter breads, have been added to the basic ingredients of flour, water, yeast, and salt. Most contain about 60 to 75% water in professional bread recipes. Sugar, sourdough starter, milk, and eggs may also be added to make the breads fancier. The texture and flavor tend to be more complex than mass market bread, even with those simple ingredients. These breads are slow-risen, hand shaped, and are made in small batches, sometimes in specialized masonry ovens and sometimes using steam to help with the baking process, creating special crumb and crust textures. Usually, they have an elastic sponge-like interior with a golden caramelized crust, perfect for eating by themselves. Familiar types are ciabatta, focaccia, and the French country loaf, or even the Indian naan. Because of the complexity, they are made in small batches. Because of their lack of chemicals, they should be eaten or used within a day or two of purchase or baking, or frozen for later use. The quality and type of ingredients is key to making the best loaves. Some breads require specialized flours, but some need regular white bread flour, so substituting whole wheat in any form for white isn’t always a good idea because the texture and flavor of the bread will be affected. 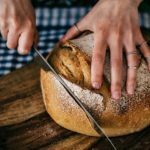 There are recipes out there for gluten-free loaves, though others rely on the gluten in the flour to enhance the texture and taste because enzymes break it down during the fermentation process. Specialty grains like Einkorn, semolina, maida, and spelt are being used, as well as commoner ones such as rye and stone ground whole wheat. You worry about what will happen if you are involved in a crash while driving your vehicle and the vehicle ends of totaled because of that crash. 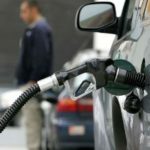 You wonder how you will afford to go out and purchase a new vehicle if you are no longer able to drive the one that you have been driving. Insurance is something that you can use to put your worries to rest. Auto insurance is something that you may be required to have covering your vehicle and it is something that can give you support after a crash takes place. You should look into the options that you have when it comes time to buy auto insurance and you should figure out which of those options is appropriate for you and your vehicle and your needs. Look for Auto Insurance that is Available for a Low Cost: When you are seeking out any best auto insurance Needham MA, you have to think about the amount of money that you will have to spend on the insurance each month. When you are looking for insurance for your vehicle, you have to think about what you can afford to spend on that insurance and you have to figure out if a plan out there will work for your budget. Look for insurance that is available for a low monthly cost. Look for Auto Insurance that Can be Customized: You want to be able to decide just how much coverage you have when you purchase an insurance plan. You want to decide how much your deductible will be with that plan. It is important that you purchase your insurance through a company that allows you to customize the amount of coverage that you receive. Look for Auto Insurance Offering Good Coverage if You Crash: When you are involved in a scary accident, you do not want to have to worry about how you are going to get money to buy a replacement vehicle for yourself. When you purchase insurance, you should get that insurance through those who will truly provide you with help when you are in a crash. You should purchase insurance through those who will make it easy for you to get the money that you need after an accident. Look for Auto Insurance that Will Not Jump Up in Price: You do not want to see your insurance plan jump up in price after you are involved in a crash. You do not want to see the price go up each year, even when you are driving well. It is important that you find a plan through a company that is known for keeping their prices steady. You Can Find an Auto Insurance Plan that Will Help You Relax: You should find an insurance plan that is going to make it a little easier for you to relax while driving. You should seek out a company that will put all of your worries to rest. Make sure that you find the auto insurance plan that makes sense for you. There are 10 states to allow recreational use of cannabis. Mexico and Canada passed a federal law to allow the recreational use of cannabis. In the United States, federal law still prohibits the recreational use of cannabis. You will be able to find many recreational dispensaries and the 10 states that allow the use of recreational cannabis, but not each state has recreational dispensaries. There are a few rules to follow to ensure you have a great experience at a cannabis dispensary. Alaska has plans to attract tourists who enjoy recreational cannabis use. Alaska made the recreational use of cannabis legal in 2015. California legalized the recreational use of cannabis in 2018, and there are several dispensaries for a person to find cannabis. A good dispensary requires a large variety of cannabis for selection. A good recreational cannabis dispensary has a good environment to provide comfort to clients. Colorado is one of the places to be if you seek cannabis dispensaries. There are more dispensaries than popular coffee shops and fast food chains found in Colorado. Maine legalized recreational use of cannabis, but it does not have a recreational dispensary as of 2018. Massachusetts cannabis dispensaries throughout the state. People should be aware they are purchase limitations and dispensaries so they should plan accordingly. The purchase limitations are not associated with state laws, but the limitations are used to preserve inventory. Michigan legalized recreational use of cannabis in 2018, but the state has yet to open a recreational dispensary. Nevada has several recreational cannabis dispensaries in Reno and Las Vegas. Las Vegas contains one of the largest recreational dispensaries in the United States. Oregon legalized recreational use of cannabis; however, it leaves it up to the various counties to allow or ban recreational use. Vermont allows legal use of recreational cannabis, but it does not have recreational dispensaries. Washington has several recreational dispensaries throughout the state. Washington, District of Columbia allows recreational use of cannabis, but it is still illegal to purchase or sale of cannabis. They are no recreational dispensaries in the District of Columbia. Many people found ways to circumvent the rule of buying and selling of cannabis with a purchase of an item such as a T-shirt and offering cannabis as a free gift with the purchase of a T-shirt. A dispensary should have cannabis that is sticky to the touch. The sticky touch shows that cannabis is of high quality. The strong smell of cannabis is an indicator of good-quality cannabis. The dispensary should offer a variety of products to meet people’s preferences. There should be knowledgeable personnel available at a dispensary to ensure they can explain what type of product is available and the effects or high it may provide. A dispensary should have a comfortable atmosphere. While many families and RV owners love to use their RV during the entire year, there are certain seasons where driving an RV around just isn’t feasible. During those seasons, it’s in your best interest to store your RV somewhere safe. Leaving it outside of your home can force it to be exposed to harsh weather. This can damage the RV. Because it’s unused, rodents and pests can also find their way inside and make it their new home. In many cases, too, RV owners just don’t have the space to store their RV at their own home. Both of these situations require you to search for an rv storage facility bremerton wa that is reputable and offers quality storage. Here are a few tips for when you store your RV. Before you store your RV, it’s important to first consider your options. Many facilities offer storage for RVs and other vehicles but not every facility actually has the lot size or security to do so effectively. You should take the time to research each facility carefully before choosing one. Consider some of the perks that they might offer for RV storage and if those perks are worth the price of storing the RV there. Once you’ve made your decision, you’re ready for the next tip. It may be convenient to just leave your dishes, extension cords, and other bits and odd ends in the RV. However, if your RV’s security is breached, then you want to make sure there isn’t anything there that can be stolen. Your RV is a sitting gem for certain thieves. It can be quite easy to break into an RV. Your best option is to remove anything of value–even seemingly small stuff–so that nothing is stolen in the first place. Make sure that you also remove any paperwork or documentation that you keep stored in your RV, too. 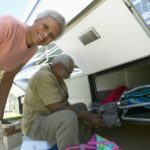 While it may seem silly to give your RV a tune-up before you place it into storage, this is a tip that helps ensure that your RV is ready to go when you bring it back out of storage. Have a crew inspect the engine, gas tank, tires, basically everything to ensure that it is storage-ready and at the top of its game. When you’re eager to break the RV out and go camping, you won’t have to worry about oil changes or any of the big ticket items before you can go have fun. It will have all been handled already. One last tip is for those RV owners who store their RV in a place that doesn’t offer covered storage. To keep your RV protected, you should either invest in a tarp or see if the facility offers tarps themselves. Covering your RV up can keep it safe from rain, snow, and even the harsh sun during hot days. When your check engine light comes on or you hear some strange sound coming from your trusted vehicle it can make your heart sink. These are the tell tale signs that your vehicle is in need of going to a mechanic shop. The industry for repairing automobiles has grown over the years. The very first automobiles were serviced by the owner themselves. They would heavily rely on a blacksmith, a machinist, or even a bicycle repair person to get parts and help them out. In today’s world with so many vehicles relying heavily on electronic components it is not so easy to maintain your vehicle completely on your own. The task of oil changes is still something a weekend mechanic can still do on their own with the proper tools but there are many things to do with a vehicle that a trained, licensed mechanic will need to perform for you. One place to start searching about any auto repair service las vegas nv would be to understand what type of vehicle you own and the basics such as the size of the motor. This information will help the repair center know if they can services your vehicle. There are certain vehicles that a mechanic will need specialized training on, these generally are diesel motors and some of the international vehicles. Once the repair shop has your vehicle they will most likely hook the car up to a machine that is called a diagnostic scanner. These actually go back to the nineteen eighties as on board diagnostic systems were implemented into vehicles. There are hand held versions that are small and more in depth versions that are as big as a laptop computer. These will give the mechanic a code which in turn gives them direction on what is wrong with the vehicle and why the check engine light has come on. There are times when a visual inspection will need to be done as well along with noticing any noises. Today’s mechanics in repair shops rely on technical know how and all of the human senses to repair a vehicle. The repair of your vehicle in cost will be parts plus the time of the labor to get the vehicle fixed, this also includes the price of having the diagnostic scanner referred to as OBD I or OBD II. There is not a common set rate it varies depending on where you are, what is wrong with your vehicle, and the amount of time it will take to repair. With all of the technology involved with vehicles it is easy for a repair shop to invest over six figures to have the proper equipment to services today’s automobiles. 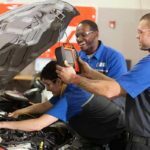 Many repair shops are in search of skilled ASE (Automotive Service Excellence) certified mechanics. These individuals have trained for complete engine restoration, brake systems, heating and air conditioning, steering, and electrical structures. The level of Master Mechanic can be obtained if you are certified in all eight classifications. There are also many other areas a mechanic in a repair shop can specialize in. Marijuana is beginning to be taken seriously in mainstream circles around the country. As it begins to reach wider audiences, people’s fascinations with the plant are growing wider and wider. This especially rings true for places that have legalized cannabis for recreational use. Whether a person is new to using cannabis or is a lifelong smoker that is keen to learn a bit about it, there is plenty of information to go around when it comes to cannabis. This includes the different ways to smoke and consume it. As is the case with those who use the drug, the forms are widely varied. A dispensary will want any marijuana marketing to reach a wide variety of potential users while also offering information regarding their product. There are so many ways to take in cannabis that one has to be aware of the options. For those looking to smoke it in a traditional way, they will look for a wide variety of quality flowers from his or her local dispensary. This involves many strains to select from, some giving more of an energy boost and others offering more of a mellow feeling associated with them. There are plenty of ways to smoke marijuana. A person can smoke out of a hand pipe, water pipe or even hand roll a joint if they so please. Hand pipes are commonly used for their convenience and portability. People have different preferences when it comes to the way he or she smokes cannabis, but that isn’t where choice should stop when it comes to procuring cannabis from a legal dispensary. Vaporizing is another extremely popular method to receive the effects of marijuana. This is for people who don’t like the side effects associated with smoking, such as the smell or the negative toxins associated with combustibility. People who use a vaporizer are minimizing the potentially dangerous aspects of intaking cannabis while still allowing for positivity to come from it. There are plenty of cannabis concentrates, waxes and oils that people who prefer this method can purchase for consumption. Vaporizers can come in several sizes and shapes for one’s desires. Edibles offer yet another way to enjoy cannabis. Different from smoking or vaping, consuming cannabis via food or drink will offer a different experience. When a person smokes or vapes, the cannabis enters the bloodstream immediately and the sensations begin to take effect rather quickly. Edibles take a bit longer to feel so one has to be especially cautious when it comes to how little or much to consume. This is where a knowledgeable staff at the local dispensary is going to come in clutch. 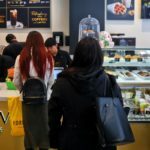 Customer service will go beyond being friendly to every customer that walks in the door. It will also involve knowledge of the project in an effort to best serve. One may be totally oblivious to cannabis and a simple explanation will help. Other times people will wonder about strains. Whatever the inquiry, a good dispensary will attempt to provide answers. Serious motorists always plan for disaster in advance. This is why they find a good mechanic before anything is wrong with their car, and also why they put the number of a good tow service in their emergency kit. If disaster strikes they are ready. 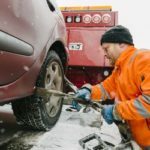 You do not want to grab the number of just any towing company, however, because they need to be vetted in the same way you would look at a mechanic. So here are some important factors to look for when choosing a tow service. An emergency can occur at any time so the tow service you choose has to be available at anytime. This is why one of the first things to look for is availability. Are they open 24 hours, seven days a week? Do they cover the area you normally drive in? These are two very important questions to seek answers to. The last thing you want is to be involved in a late night car accident and find your tow company is closed until morning. It also does not help if you are out of their range. Obviously, you cannot anticipate where an emergency will happen but you can stack the odds in your favor. So make sure the tow service you choose has a range that covers your daily commute. If you tend to drive around the same area odds are an accident or breakdown will occur in that area. If the tow service covers that area you do not have to be worried about whether or not they can reach you. Some services offer roadside assistance as well as general towing. 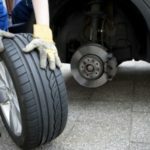 Such assistance can include a jump, gas, or even a tire change. Roadside assistance provides extra protection and allows drivers to avoid the cost of a tow if they can. 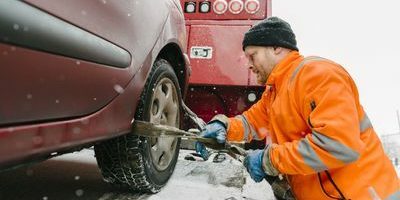 Most businesses offer roadside assistance as an extra feature. Many tow services and companies offer different methods of payment. For some you pay an out of pocket cost, and for others it is included as part of your insurance coverage. In such cases the decision is up to you as to which you prefer. Some people advocate for out of pocket costs over insurance as it is more affordable, others go the insurance route to avoid having to pay money up front. So be sure to look at your own financial status and decide which one works for you. As many services do not work with insurance agencies this decision will narrow down your options. When considering a tow service you want to look at ratings and reviews. You want to be sure you are getting valuable service when you call a tow truck perth. So see what other consumers have to say about tow services and check their ratings on sites like the BBB. Additionally, you can also ask your insurance agent. As insurance companies deal with tow services they will have a good recommendation to give you. This will also ensure the service you choose takes your insurance as well.